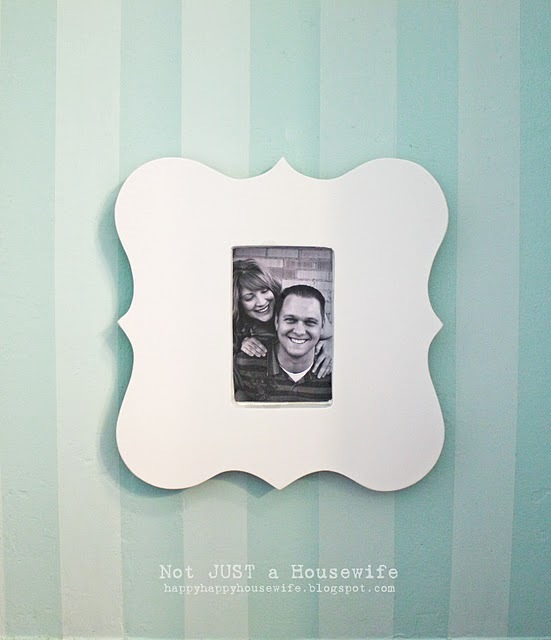 Stacy took a plain frame from the dollar store and some MDF and turned it into the super cute, funky frame pictured above. With a little practice with a jigsaw and a pattern you could create one in almost any shape. You can check out the tutorial over at Not Just a Housewife. I have been wanting a jigsaw for awhile...this is so super cute!